Original Big Muff modded by Orion Effekte. Very good for russian Big Muffs! 1. 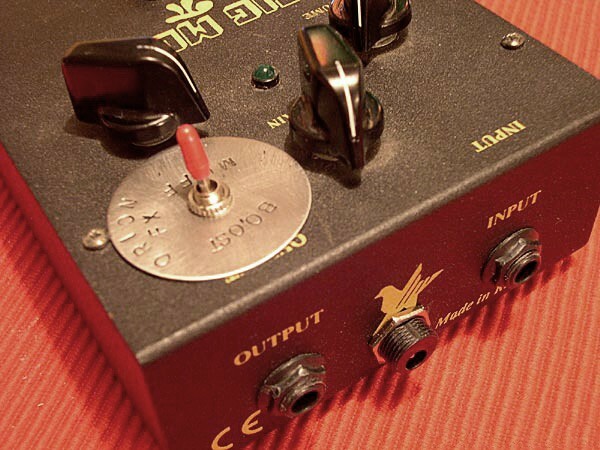 Muff-Mode: Normal Big Muff sound. 3. Boost-Mode: Louder and rougher. New and better quality phone-jacks or potentiometers for russian Big Muffs. Hardware true bypass for older Big Muffs. Orion fx did a fantastic job on my russian big muff and it has never sounded better! orion fx provided an excellent mod with excellent service and if i ever get another fuzz pedal it will be from orion fx cause this guy is honest and knows what he is talking about! thanks you again orion fx!!!! !